Beyond Sushi is about to be your new go-to spot to grab some good eats especially with locations all around New York City. 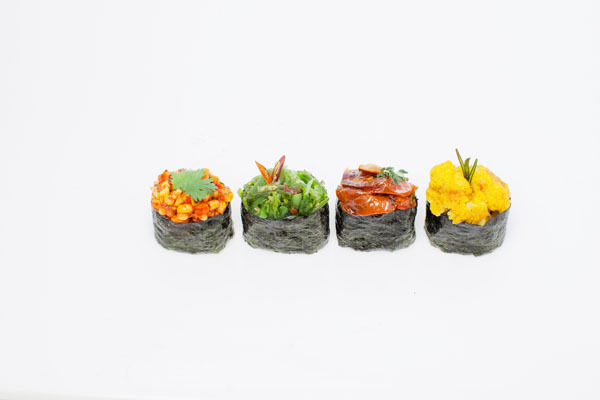 The all vegan menu at Beyond Sushi is unlike any other providing a fusion of both Asian and Mediterranean cuisine. 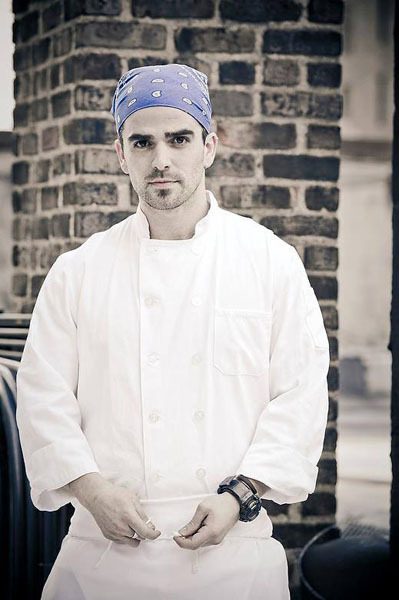 Chef Guy Vaknin is an extremely talented chef who was actually featured on season 10 of Hell’s Kitchen after studying at the Institute of Culinary Education in Manhattan. In fact a lot of Vaknin’s work ethic stems from his time spent in the Israeli Defense Force before moving to New York in 2005. The other part of Beyond Sushi’s beautiful creation comes from his wife Tali Vaknin. The two met during their time working for Vaknin’s father at his Kosher catering company. Tali has been a huge help in making sure the business runs smoothly. Not only have they had five restaurants open thus far, but plan to open two in the coming year and hope to eventually add locations on the West Coast. Talk about a power couple! The menu is inspired by both their backgrounds. Chef Vaknin developed a lot of inspiration and influence by cooking for his mom and sister as he grew up. As well as being Israeli with Moroccan parents there was so much room for many flavors to arise. Tali Vaknin grew up as a vegetarian and hence took a unique twist on the sushi roll. The two have formed a healthy, delicious and unique menu to satisfy any palate. Serving items such as sushi, noodles, soups, salads and more there’s something for people of any age. A couple of Tali’s favorites are the badge dumplings. These dumplings are filled with charred cabbage, onion, bell peppers, carrots and sesame oil topped with chili panko and cilantro with a ponzu sauce. Another favorite is the nutty buddy rice paper wrap. This wrap is filled with baby greens, soba noodles, jalapeno peanut butter, carrots, cashews, avocado, baked tofu and cilantro with a ponzu sauce. Are you salivating yet? As well as delicious food they also have witty menu names such as the Pickle Me sushi roll. This is made of six-grain rice, pickled burdock root, carrot pickled daikon, and avocado with a carrot ginger dressing. Every menu option is filed with so many nutritious ingredients as well as flavors you can’t go wrong with anything.